Imran Khan told Hamid Mir today during his programme that a senior Taliban commander was treated at Shaukat Khanum Memorial Cancer Hospital in Lahore. With Imran Khan’s history of openly supporting the Taliban, many immediately took this news as more proof of the PTI chief’s ‘Taliban Khan’ moniker. However, doctors are correctly pointing out that treatment is given to any patient without asking about their religion or politics. In Afghanistan, wounded Taliban militants are even treated next to Afghan soldiers. Therefore, the question is not why a Imran Khan’s hospital treated a Taliban commander, but why he was not treated in Afghanistan but rather in Lahore. Doctors may treat any patient without asking about his beliefs or his actions, but a visa requires the approval of intelligence agencies who do ask such questions. Therefore it is valid to ask who approved and made possible the Taliban leader’s travel from Afghanistan all the way across Pakistan to Lahore? It is also valid to ask what this approval says about state policy towards Taliban. This is not the first time that a jihadi militant leader was able to move freely in Pakistan for medial care. Taliban’s supreme leader Mullah Omar died in a hospital in Karachi, and two of Osama bin Laden’s children were born in hospitals in Pakistan. In all of these cases, no one was aware of the militant leaders until they had safely left. Who is providing their travel arrangements? And are our intelligence agencies once again incompetent or complicit? 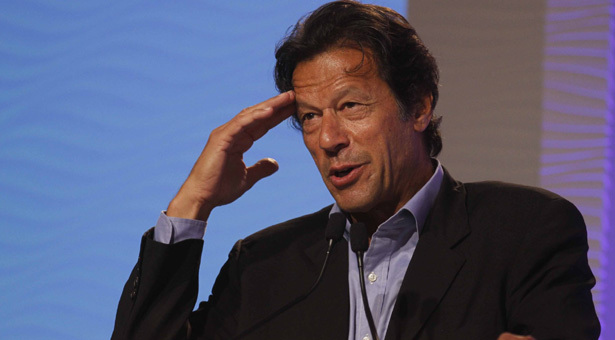 Imran Khan says that he didn’t learn that his hospital had treated the Taliban leader until he received a letter from the Taliban thanking him. There is no reason to doubt him on this statement. It’s asking the wrong question, though. The right question is who actually deserves the thanks for helping militants come and go freely in Pakistan. This entry was posted in Blogs and tagged imran khan, Lahore, Mullah Omar, Osama bin Laden, Shaukat Khanum, taliban, visas by Mahmood Adeel. Bookmark the permalink.